China laid out plans for four additional moon missions including one later this year to collect and return samples to Earth for analysis, and reiterated its aim to reach Mars by next year. Speaking at a press conference (link in Chinese) on Monday, deputy head of China’s National Space Administration Wu Yanhua announced that the Chang’e-5, the follow-up to Chang’e-4 which successfully landed on the moon’s far side earlier this month, would launch later in 2019. 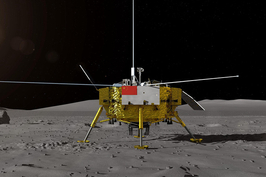 This will usher in the third phase of China’s original lunar exploration plan. 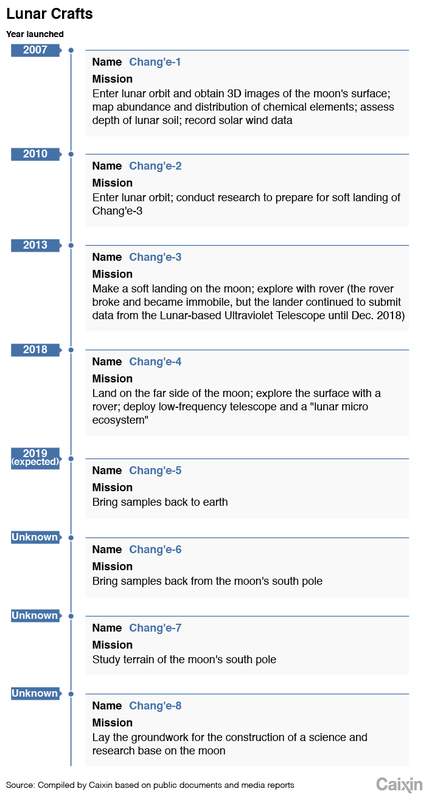 But Wu announced that in the coming years there will be two additional Chang’e missions, expanding beyond the original three-phase plan to orbit, land on, and collect samples from the moon. 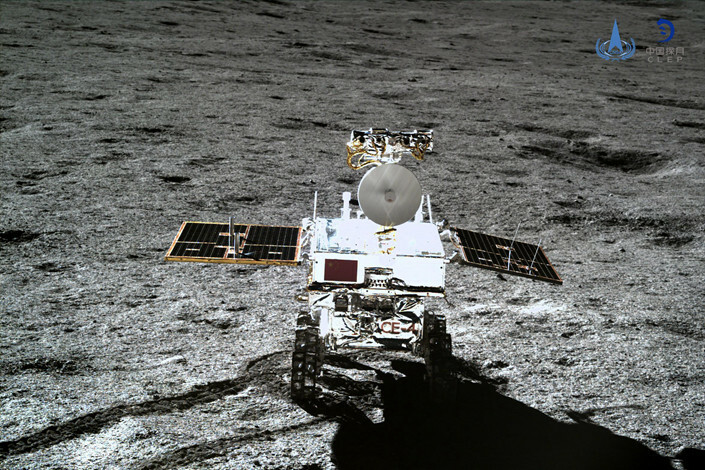 Chang’e-6 and 7 will focus on the moon’s south pole, with the first bringing back samples and the second studying the terrain and landforms of the region, Wu said. The Chang’e-8 mission will lay groundwork for the construction of a research base. 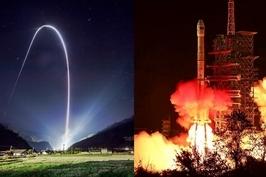 China’s space program has primarily focused on launching satellites and lunar exploration, in contrast with NASA’s focus on deep space and exploration of Mars. However, Wu told reporters yesterday that the Chinese space program would mount its first mission to Mars around 2020. The International Space Station (ISS) project, managed by fifteen nations and five national space agencies, is expected to remain in orbit until 2030. NASA’s priorities and budget are subject to changing presidential administrations and budget restraints, but China’s space program has had the unwavering support of the leadership and the state-owned space agencies which are “tasked with setting policy for space,” wrote Namrata Goswami, an analyst, in an article for The Diplomat last month. A deep space exploration roadmap announced in April included a Jupiter mission planned for 2029. While China’s space program is healthy and growing — and has a solid source of funding for the coming decade or more — it still lags behind others. The European Space Agency has plans for missions to Mars and Jupiter in 2020 and 2022, along with a 2024 mission to hunt for planets beyond our solar system. On Jan. 2, NASA overshadowed the historic Chang’e-4 landing when it released photos of the most distant object ever explored, taken by its New Horizons probe. 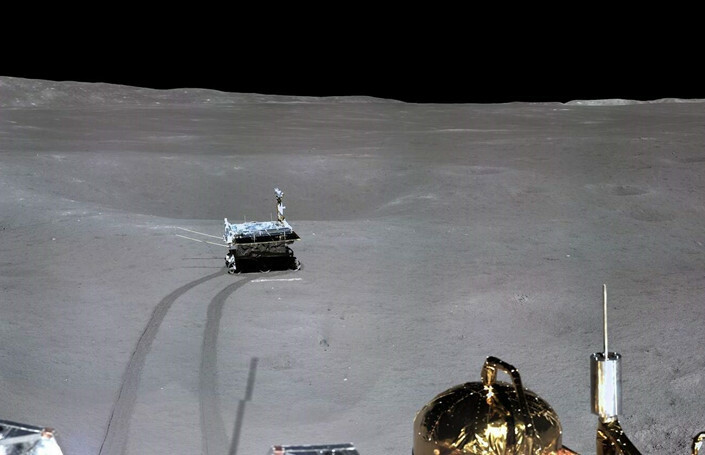 But the Chang’e-4 lander and rover will nevertheless bring breakthroughs for lunar exploration and contribute to the human understanding of the universe. On Tuesday morning, Chinese media released a photo of a sprouting cotton plant, part of an ecosystem experiment aboard the Chang’e-4 lander.